Pull up a chair and stay a while. Summer 2018 will always be particularly memorable for us. We finished up our van build just in time to kick off a summer of van camping. 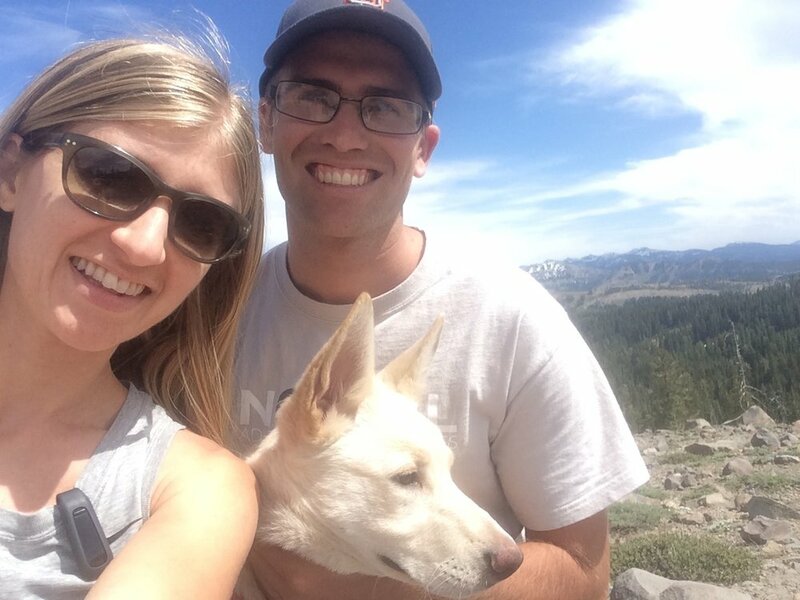 Our first trip, to the Eastern Sierras, coincided with our first wedding anniversary. After that, we took two trips to the Northern California coast. 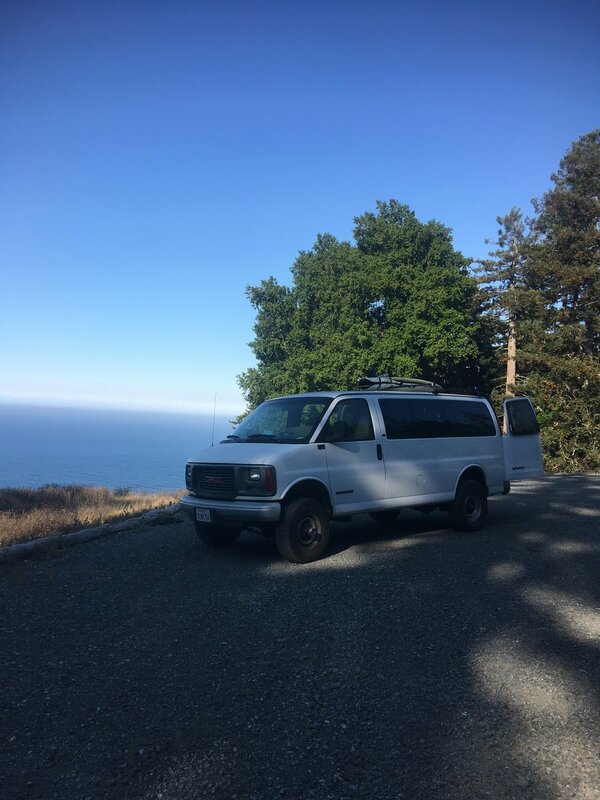 We have a tradition to go camping for my birthday, and I was super excited to start a new phase of van camping birthday adventures. 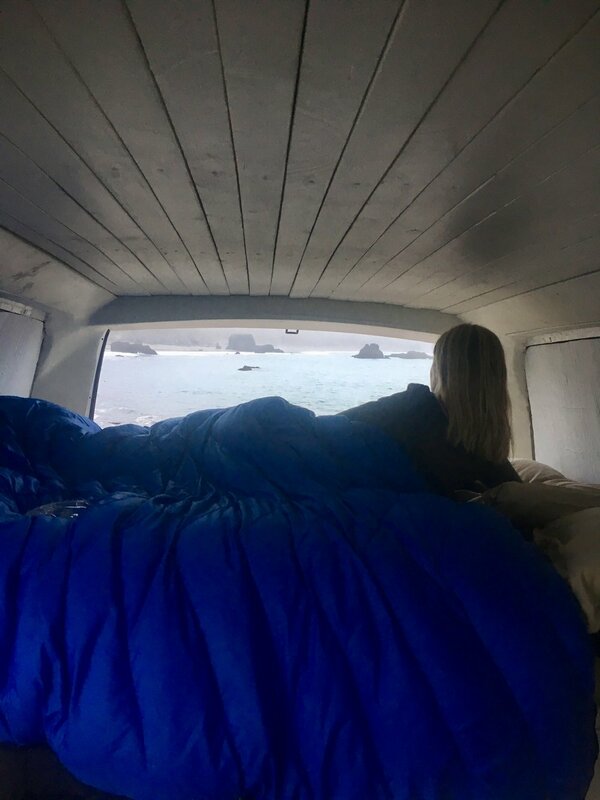 We camped at Sonoma Coast State Park. It was a cold and mostly foggy weekend, but we appreciated an escape from the oppressive Sacramento summer heat. Friday night we boondocked after picking up vegan milkshakes at Amy’s Drive-Thru in Rohnert Park. The next morning, we headed over to the beach super early and enjoyed our breakfast in the most blissful solitude. 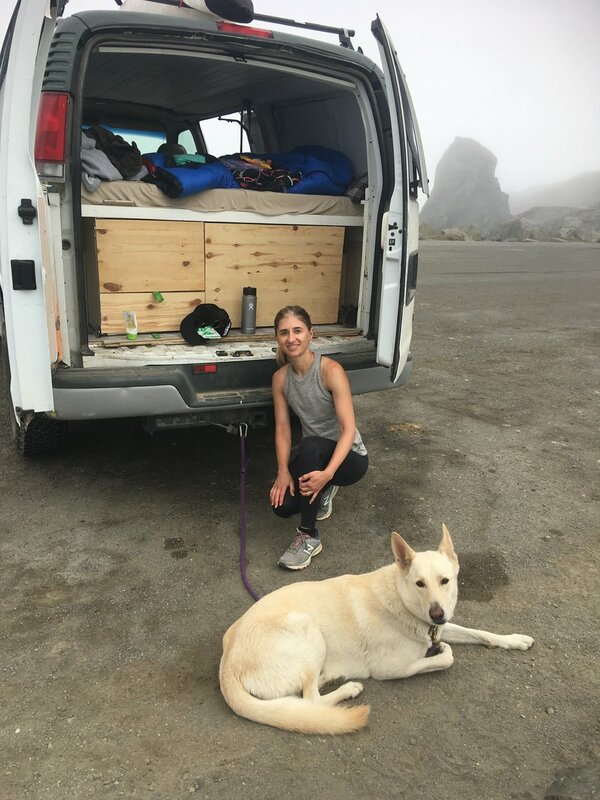 After a lazy morning lounging in the van and soaking up the views, we went for an 11-mile out-and-back run along the Kortum trail, from Goat Rock Beach to Wright’s Beach. We actually spotted goats on a rock, too... so literal. 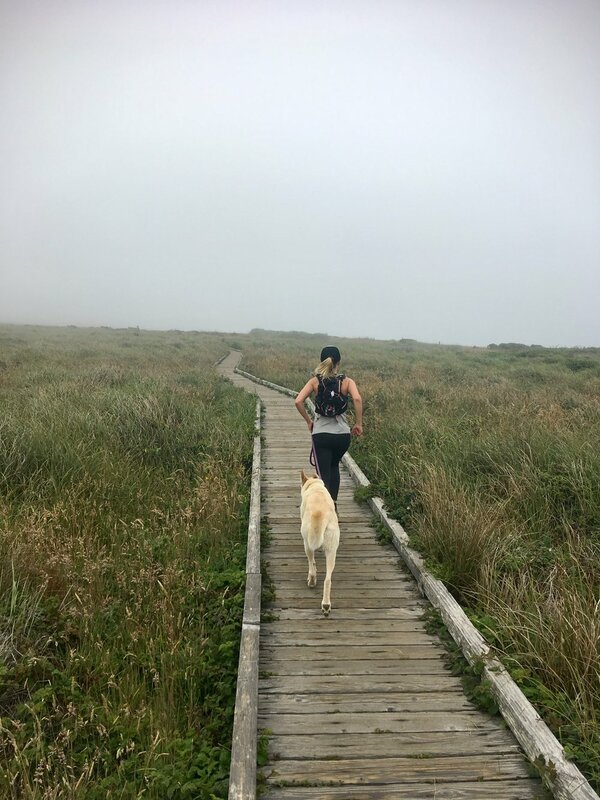 I had run part of the Kortum Trail years before when Phill was doing a gravel grinder race, and I was so happy to be back with my favorite running partners. It is spectacular! During our run, we checked in with the camp kiosk at Wright’s Beach and they actually had a spot available. We scored a campsite on the beach for Saturday night! Sunday we went for another long run, this time headed inland to the Pomo Canyon. 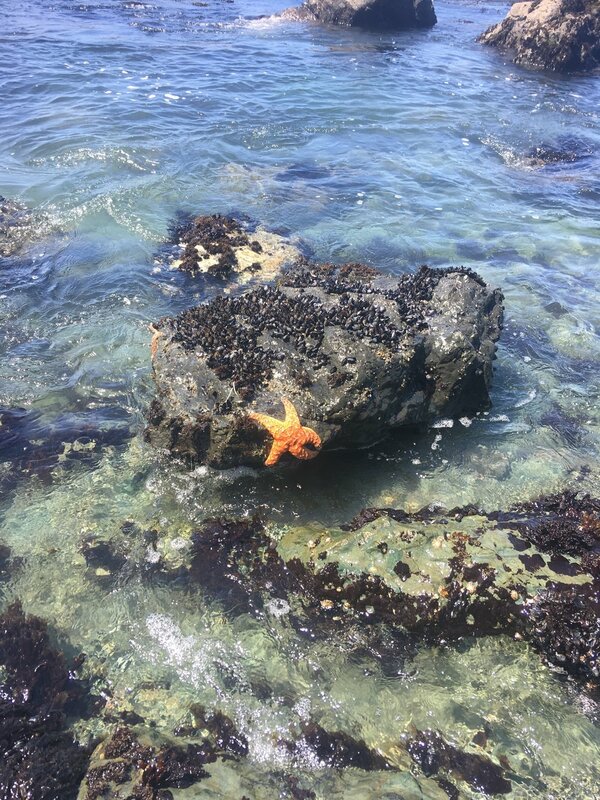 Then we walked along the beach looking for tide pools filled with interesting sea life. Life is good! Our next opportunity to camp was Labor Day weekend, which we spent camped near Fort Ross. 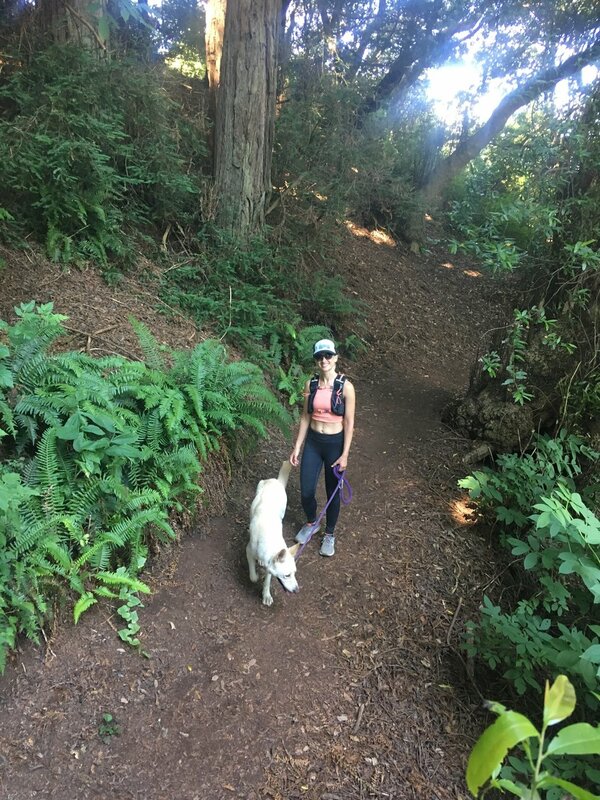 Saturday we spent exploring the trails in Salt Point with a 10-mile loop. It was a clear and beautiful day on the coast. That afternoon we drove north to Sea Ranch and found a lovely little beach. We were the only ones there. Lana and I laid on the beach recovering from our run while Phill surfed. We made dinner in the beach parking lot while watching the sun set and felt that life was perfect. Sunday we explored more trails at Salt Point and headed into the Kruse Rhododendron State Reserve. I can’t wait to return in the spring someday to see all the rhododendrons in bloom. After our run we attempted to use the shower apparatus for the first time, and learned that we should give the water more time to warm up in the future. Brrrrrr! Here’s to many more summers on the coast! Here’s a recap of our trip to the Eastern Sierras!